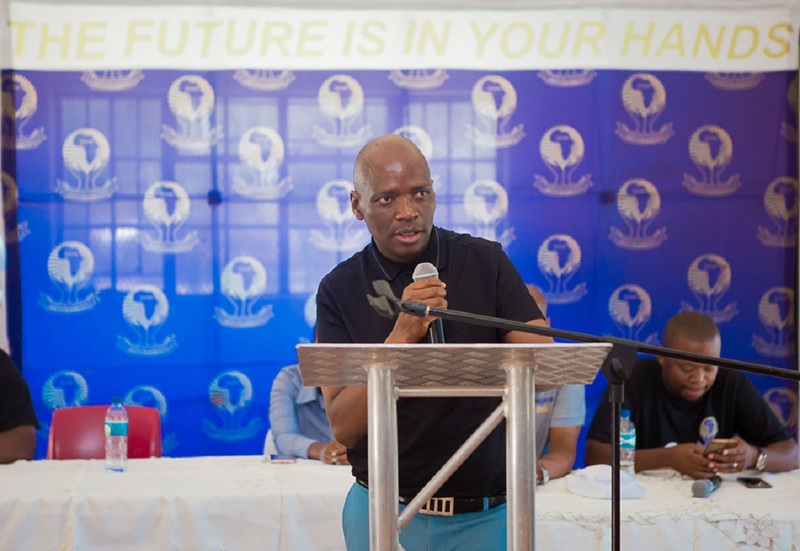 Leader of the African Content Movement (ACM) Hlaudi Motsoeneng says his party will bring some much needed â€œfresh airâ€ onto the political scene. ACM, launched in December 2018, will be contesting all spheres of governance, starting with the national election on May 8. Motsoeneng is a colourful, controversial character. Heâ€™s been headlining since he was fired as South African Broadcasting Corporation (SABC) COO in 2017. The public protectorâ€™s report found that Motsoeneng had lied about having his matric certificate, and did not have the adequate qualifications to hold a senior executive position. The interim board accused Motsoeneng of ruining the reputation of the SABC and causing irreparable damage. Under Motsoeneng: the SABC struggled to maintain its independence from the Jacob Zuma-led government, racked up millions in wasteful expenditure, made suspicious deals with Multichoice, and had a compromised editorial independence. In his last months at the SABC, Motsoeneng banned the broadcasting of protests. His decision to change the broadcasterâ€™s policy to air 90% local content cost the SABC R300 million in advertising revenue. Motsoeneng has been embroiled in legal battles over his dismissal ever since. About that controversy, Motsoeneng said: â€œMy mess was my decision to benefit people of South Africa.â€ But this doesnâ€™t interfere with his ability to lead the country, he said. â€œI listen to my conscience. The African National Congress (ANC) could not influence me, I influenced myself,â€ he said. It took some time for Motsoeneng to leave the ANC, which he claims he was a member of, and start his own movement. â€œI don’t share the same views as the ANC anymore. I have my own way of seeing things,â€ Motsoeneng said in an interview with The Daily Vox. â€œAfter realising that the economy is not in the right hands of the majority, black people, we realised that it was very important to start a movement,â€ Motsoeneng said. The leader said he was also approached by many people who knew his SABC background and what he stands for. Motsoeneng refers to his party as a movement. â€œI’m happy I’m not a politician, I’m a servant of the people,â€ he said. The ACM prioritises the voices of the community, he said. â€œThe power of the party is not within the members, the power is within the community. My movement: we are not going to promise people, we are going to act,â€ Motsoeneng said. The ACMâ€™s support is widespread, Motsoeneng said. He is confident in his ability to unseat President Cyril Ramaphosa. â€œI don’t think the ANC is capable of turning South Africa around. Even today they still blame apartheid. They still blame white people. Currently white people are powerless, you can’t blame people who are powerless,â€ he said. The solution, Motsoeneng said, is to believe in ourselves as South Africans. â€œFirstly, we as South Africans should believe in ourselves,â€ Motsoeneng said. He said we should believe that we can create opportunities rather than depending on outside investors. â€œOur current president is talking about fundraising outside our country, instead of building funding and skills and expertise in our own country so that we are able to run all these countries, these mines,â€ Motsoeneng said. Investors should be welcomed but not to the point that we create a â€œlazy nationâ€, he said. â€œWe want to create a nation where we are all thinkers. Other countries should come to South Africa and try to copy what South Africa is doing. In South Africa we are very talented. We just need to install the belief in our people,â€ Motsoeneng said. The current wave of student protests show the ANC-led government is reactive and not proactive, Motsoeneng said. 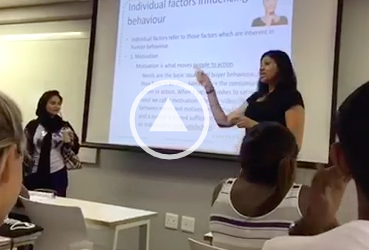 The ACM has entirely new ways of approaching tertiary education. One of them is to produce the amount of graduates according to the demand for the profession in the economy. â€œWe as a country, if we produce graduates we need jobs. If we need 500 000 doctors, we produce 500 000 doctors,â€ Motsoeneng said. This guarantees that graduates will have work. Another is to change the tertiary education system to combine theory and experience. â€œOur educational system must be more than theory. In the workplace, workers need skills, expertise, experience. We need two systems in the education system where you do six months theory, six months practical,â€ Motsoeneng said. Citing his SABC background, he added that experience doesnâ€™t necessarily mean employees are adding value. â€œIf you concentrate on experience, you disallow young people from entering the workforce,â€ he said. The ACM also holds that schools should apply for university and accommodation on behalf of students. â€œWhen students arrive at university they must just be shown where they’re supposed to be,â€ Motsoeneng said. The ACMâ€™s position on land is tentative. â€œWe always mesmerise people mentally, especially the politicians,â€ Motsoeneng said about how politicians spout rhetoric about the land issue. If the ACM takes the helm, they will allocate the government-owned land to people free of charge. The land wonâ€™t go to just anybody. Instead, it will be allocated as an investment to those who will use it productively and whose products will benefit the community. As for removing people from land by force, the ACM does not support that. â€œWe are talking of 100 years history. People staying there now, their forefathers messed up the country. They are going to be punished for their history,â€ Motsoeneng said. Instead, government should compensate these people and return the land to those who have proof that it belonged to them for free. The land debate has exposed existing underlying racial tensions in South Africa.Â Motsoeneng said his movement is non-racial. â€œWe want unity between black and white. All people who live in South Africa, it doesn’t matter your colour, we are all South Africans,â€ he said. Without forgetting South Africaâ€™s history, the ACM doesnâ€™t want to dwell on it and wants to focus on the future instead. Despite the movementâ€™s non-racial leanings, Motsoeneng says he is unwavering on prioritising black people. â€œWe don’t compromise prioritising black people to benefit from all the resources in South Africa. White people must also be assisted, there are white people staying in shacks, living in the streets. But we prioritise black people,â€ he said. The movement is targeting all South Africans to form part of its support, including the Khoisan. Motsoeneng said the ACM wants representation in their decision-making bodies as well. â€œThis issue of women and men is a problem for me,â€ Motsoeneng said, â€œI see human beings.â€ In the ACM, there will broad-scale representation in key positions. Men, women, people with disabilities, people with albinism, gays, lesbians must form part of decision-making bodies, he said. The youth will also occupy key positions in his party. â€œIt will also include young people. I believe I can’t represent young people, I don’t know what they go through, I don’t know what they do,â€ Motsoeneng said. â€œI’m going to put a team together that represents everyone,â€ he added. The ACM because is the only party that will turn the country around, Motsoeneng said. â€œAfter 25 years, there is no change. If you want to be part of change, vote ACM,â€ Motsoeneng said. The ACM will launch their manifesto in March.